On the track "hunted", the Mono/Fury is the only audio source (plus some delay, reverb and slight compression). You may have to reboot your Mac after installing the Mono/Fury! Andreas Eberhardt from buenasIdeas.de has written a review of the Mono/Fury (thanks for that!). You can read his review here. (in German). The Mono/Fury was subject of KVR's One Synth Challenge #56 (OSC). Go to the official OSC website and listen to the great submissions available from there. 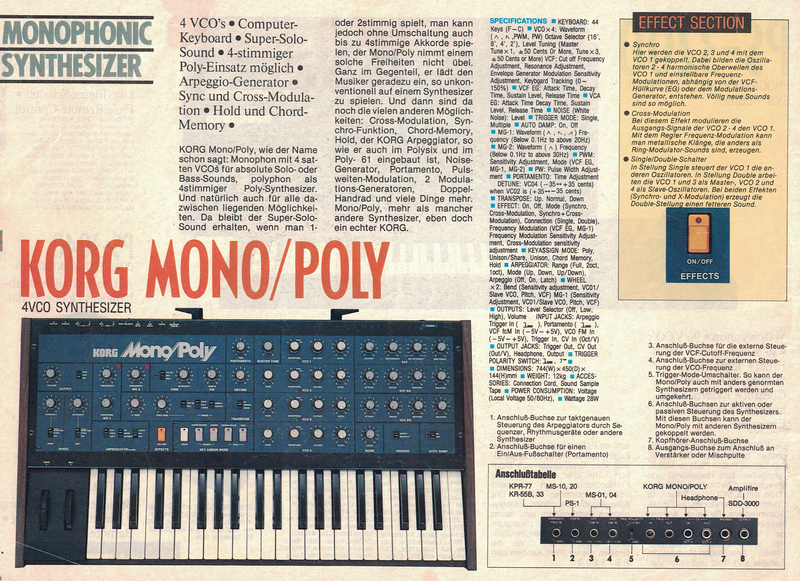 Mono/Poly is a registered trademark of KORG Inc.